The Brass Offset Nut from DMM is designed to fit into tiny flared cracks for protection on climbs with not much else! It's made from brass so it moulds slightly to the rock when it is loaded in a fall. DMM have re introduced the Brass Offset nut once made by HB (Hugh Banner). The HB Brass Offsets micro wires developed a fanatical following when they were still being manufactured and DMM were inundated with requests to bring them back. Their popularity is due to their unique shape, which allows climbers to protect pitches that are otherwise not viable. Looking very similar to the original HB brass nuts (with the exact same sizes) these versions are not just simple copies. 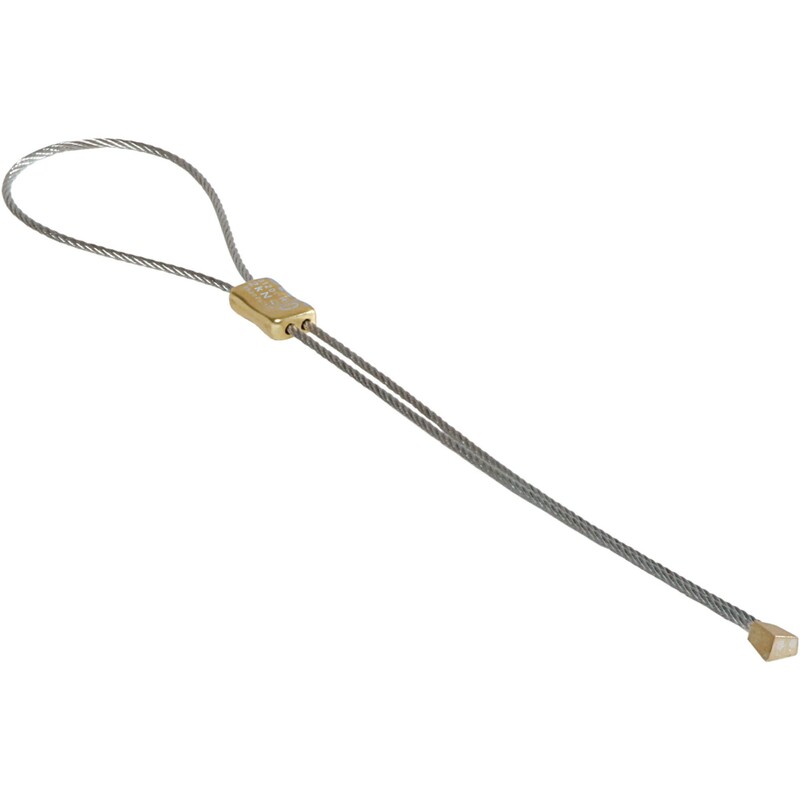 The units are manufactured from a very specific quality of 'brass' that is silver soldered onto stainless steel wire. Every unit is proof loaded to 75% of its rated strength. The wires also benefit from a colour coded alloy swage that is only dinked on one side i.e. one wire runs free so that the head is always loaded optimally. The colour coded swage helps with selecting the right size first time.